The New York Times reports today that Google and IBM are sinking $30 million into a two-year project to build remote data centers that can handle sophisticated computing research remotely. No World of Warcraft player will again be safe now that students can crunch probabilities with the 1600+ processors Google is installing in an undisclosed location. I think they need a "few good men" for the work they cannont handle/don't want to do for themselves; so "let's put those starving/ambitious students to work. As soon as the plugin was available, and I got some free time, I installed it into a test system to give it a test drive. The installation was pretty straightforward. Basically, you run a wizard that asks you for two parameters: 1) the URL for the Connections Profiles service, and 2) the URL for your Sharepoint site (which was automatically detected for me). Clicking Next a couple more times and 2-3 minutes later the plugin was installed! I was looking up articles on cloud computing and found your blog pretty interesting. Keep up the good work. 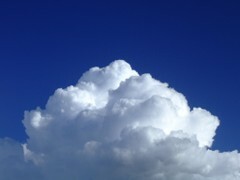 Cloud Computing is being used these days on high scale, as this is a very new and good technology. Most of the companies are working on Cloud Computing. I was searching about this, and i got many good blogs and sites, as you can check http://keycommonline.com/ this will help you for sure.